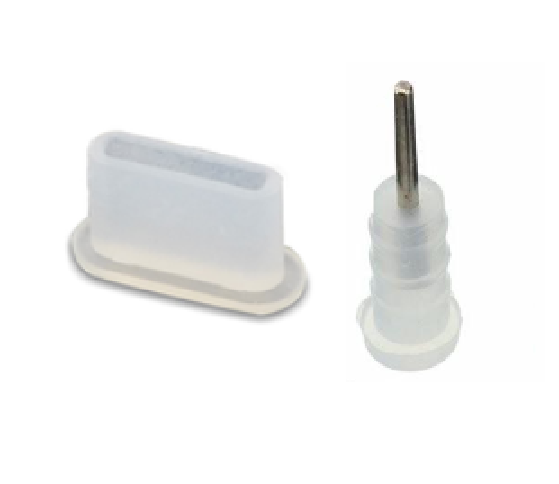 Here you can find anti-dust plugs for the USB Type-C, Micro-USB, 3.5mm Audio Jack and iPhone Lightning ports. By preventing the entry of dust, sand and liquids, they guarantee the proper functioning of your device over time. 3x SET UNIVERSAL ANTI DUST PLUG STOPPER SILICONE SET USB TYPE-C + EARPHONE JACK 3.5MM for ALL SMARTPHONE/TABLET. 3 sets of protective universal silicone plugs for all devices with USB-C and jack 3.5 mm ports. It prevents dirt, dust, sand, liquids from getting into the device and damaging it. 3x SET UNIVERSAL ANTI DUST PLUG STOPPER SILICONE SET MICRO USB 5-PIN + EARPHONE JACK 3.5MM for ALL SMARTPHONE/TABLET. 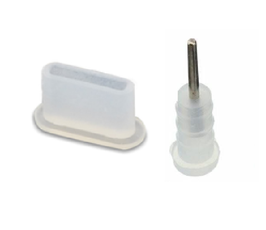 3 sets of protective universal silicone plugs for all devices with MICRO-USB and jack 3.5 mm ports. 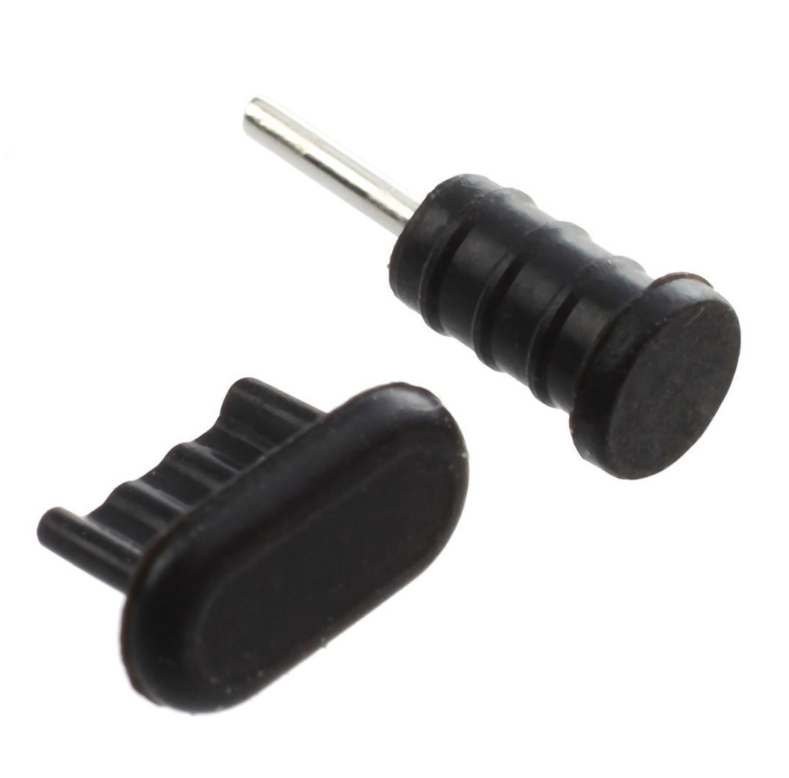 This plug prevents dirt, dust, sand, liquids from getting into the device and damaging it.